Hikaru's big brother is working for the enemy, and he wants to reunite with Hikaru. Meanwhile, someone is posting negative reviews on the library's website, and Kasahara intends to fi nd out who. Later, personal issues are set aside when the Library Forces find out about a book burning on their home turf. Kiiro Yumi won the 42nd LaLa Manga Grand Prix Fresh Debut award for her manga Billy Bocchan no Yuutsu (Little Billy's Depression). 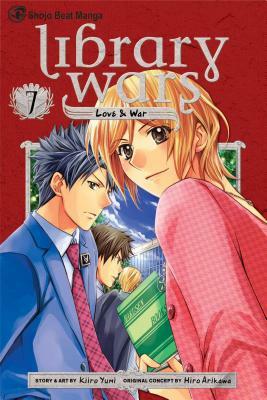 Her latest series is Toshokan Senso Love&War (Library Wars: Love & War), which runs in LaLa magazine in Japan and is published in English by Viz Media.